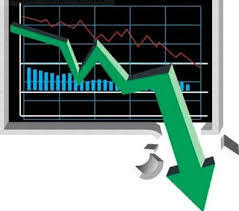 The markets opened sharply lower today on the back of negative cues from the global markets. The significant buying witnessed among the Power, Pharma, Capital Goods and Auto stocks. However, IT, Metal and Banking stocks are witnessing some selling pressure. The broader market indices also recovered from the early lows and are now trading flat. The BSE Sensex is now trading above the 14600 mark and the NSE Nifty above the 4350 mark. The BSE Sensex is trading up by 21.65 points at 14,680.14 and the NSE Nifty is trading marginally higher by 5.35 points or (0.12%) at 4,354.20. The BSE Mid Cap increased by 8.28 points or (0.16%) to 5,152.55 and the BSE Small Cap grew by 5.56 points or (0.10%) to 5,805.80. The Overall market breadth is negative as 769 stocks are advancing while 841 stocks are declining and the 42 stocks remained unchanged on BSE.